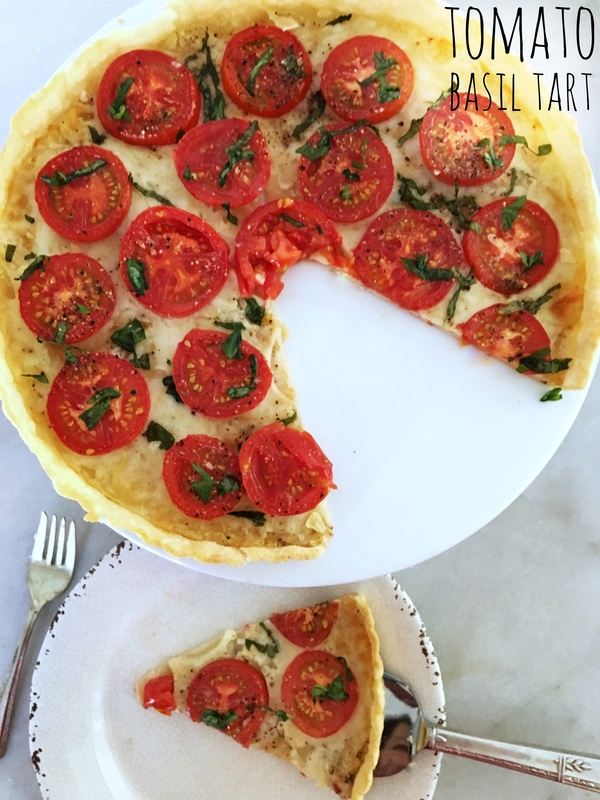 You’ll want to add this delicious Tomato Basil Tart to your holiday lineup. It’s the perfect dish for brunch and is a consistent favorite appetizer year ‘round. The simple ingredients and easy prep make it one of our top go-to appetizer recipes. You can use a favorite home-made pie crust recipe or grab pre-made pie dough from your local market. The tart pan we use has a removable bottom which makes it easy to serve. You could also use a pie pan or other type of tart pan. Gently fit the pastry into the pan and generously prick the bottom and sides. 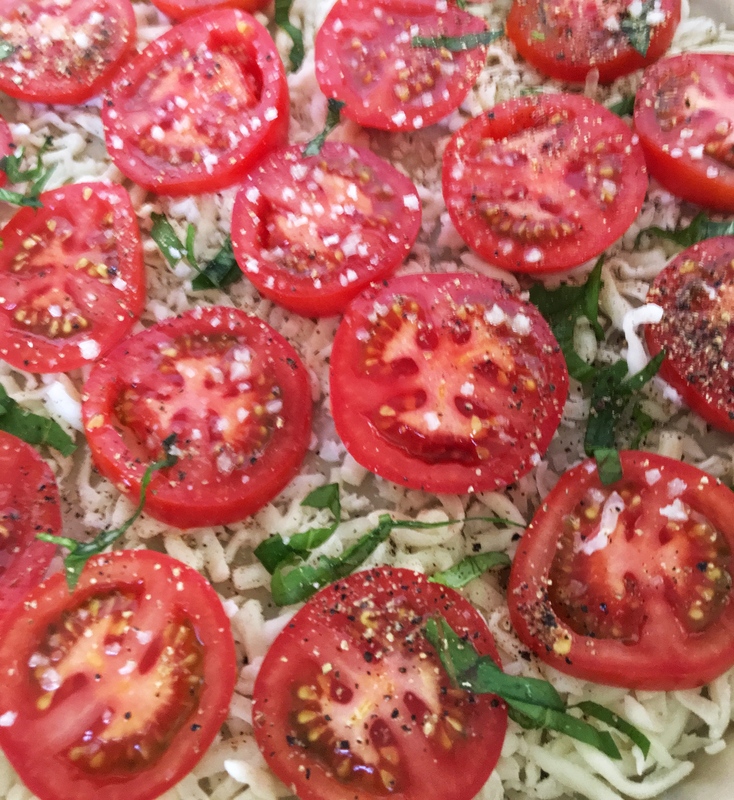 Then you’re ready to add the filling: Mozzarella, basil and tomatoes plus olive oil, salt and pepper. The key to the recipe is fresh basil. You chiffonade the basil (see How to Chiffonade Basil) and lay strands on the bottom of the tart before baking. 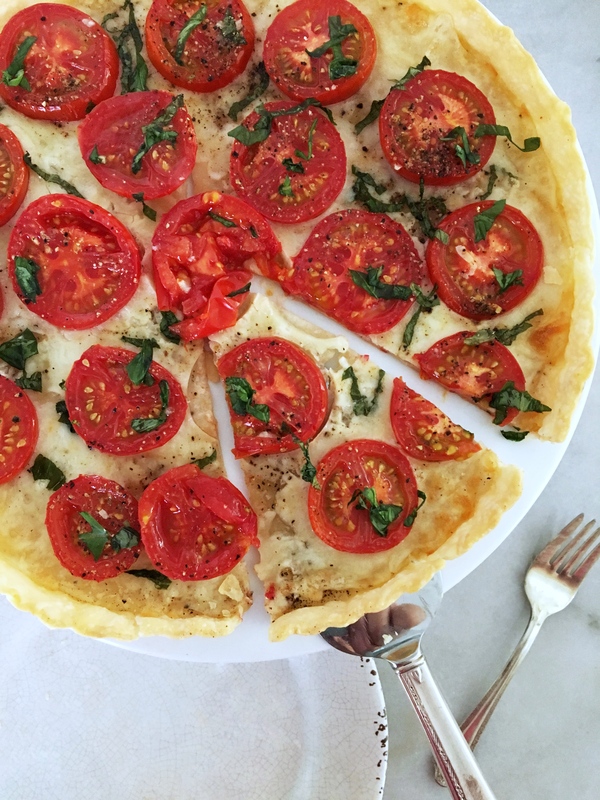 Parmesan and a brush of olive oil finish off this savory treat. 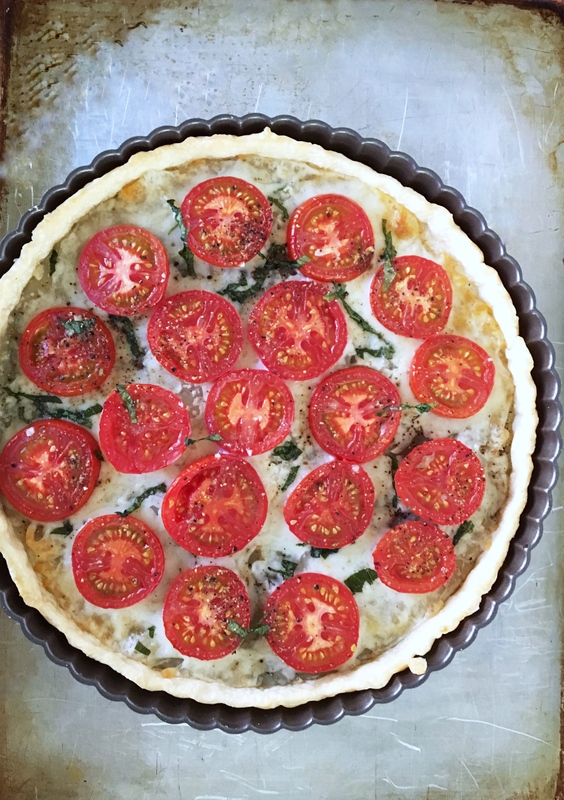 Just add a few more basil strands when it comes out of the oven and you’re ready to go. Fit pie crust into 10-inch tart pan; trim along edge. Generously prick bottom and sides of pastry with fork. Sprinkle cheese evenly over pastry shell. Sprinkle 2 tablespoons basil over cheese. Learn here how to cut basil into chiffonade strips. Brush tomatoes with olive oil and sprinkle with salt and pepper. Place on a baking sheet on lowest oven rack. Bake at 450 degrees for 25-30 minutes, or until crust is golden. Let cool about 10 minutes before cutting into wedge sized pieces.